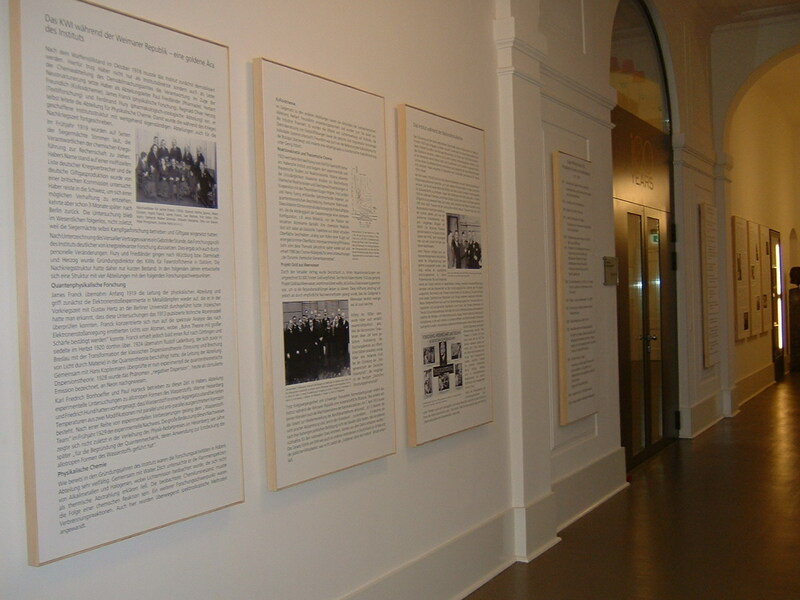 Due to the celectrations on 26 – 28 October 2011 marking the 100th anniversary of the Fritz Haber Institute’s founding an exhibition about the institute’s history (only in German) has been opened. It is located in the foyer of the library (ground floor, building A). This entry was posted in Miscellaneous and tagged Centenary Celebrations, Exhibition, FHI, Fritz Haber by fhilibrary. Bookmark the permalink.